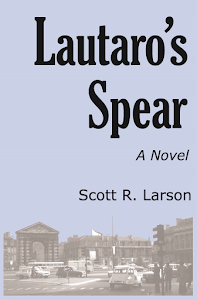 As I mentioned recently on my book blog, I have finished the first draft of my third novel. Writing a book leaves precious little time for blogging, but maybe that is just as well. With the way the world is going, it is hard to find much useful to say anyway. The new book is not meant to be particularly political, but certain observations do creep in. It takes place in the year 1980, which means I have been revisiting that momentous period a lot in my head. Much happened during that year. In the course of the story certain events or situations, which are going on in the backround, keep getting referenced. Taken together these background events weave a running theme of how groups of people within a society become estranged from each other. The protagonist is once again Dallas Green, narrator of my first book Maximilian and Carlotta Are Dead. At 27 he is older but not necessarily much wiser. One faraway event that comes to his attention is the referendum in Chile that year to replace the country’s constitution 55-year-old constitution with one crafted by the Pinochet regime. Dallas also winds up visiting the divided city of Berlin as it enters the final decade of the Cold War. Back home, meanwhile, the United States is going through an election campaign that, in some ways, has future echoes of the one we all lived through last year. On a visit back to his hometown, shortly after the November election, Dallas ponders that people can become so divided despite being citizens of the same country. It is one thing to become passionate over whether the Democrat or the Repubican wins. How do things in other countries actually get to a point where one side takes over the government by violence? Or a city actually has to have a wall built through its heart to separate citizens of the same country? To answer my own question, Germany became divided at the end of World War II mainly because of external forces that were unleashed by the German government’s own tragic behavior. In America, certain rabid partisans on one side or the other have been awfully quick to invoke the Hilter label when it comes to each of the two most recent presidents. While it is always a good idea to be on the lookout for potential abuse of power by a national leader, in both of the recent U.S. administrations the opposition’s bandying of “Hitler” and “fascist” has only served to make the political discourse nonsensical. Unless I am grievously mistaken, the United States is a long ways from becoming Nazi Germany. Chile, on the other hand, is a more worrying comparison. The fracture of Chilean society, unlike that of Germany, did not come about because of a leader’s deranged visions of conquest and racial purity. The Popular Unity allowed its socialist vision to become so overpowering that it ignored the country’s constitution and invited external support from Cuba’s Castro dictatorship. It anticipated a response from their country’s own military and armed itself in preparation. Even more devastatingly, that military reaction materialized and was supported by a portion of Chilean society that saw violence as being justified to stop the leftist takeover of the country. As a result, many people were imprisoned, tortured, killed or simply disappeared. All these years later, the divisions are still there, but it is remarkable how well the rift has healed 47 years after the election of Allende, 44 years after the military coup that toppled him and 29 years after the plebiscite that restored democracy. Despite my serious misgivings about President Trump, I do not actually worry that whole groups of people will be rounded up and loaded on trains and sent to concentration camps. Or that the country will become internally militarized and that America’s borders will be fortified to keep people inside the country (as opposed to outside). I am saving my panic for the moment when he actually imprisons judges who thwart his executive orders—as opposed to merely complaining and tweeting about them. I do, however, worry that the country is becoming increasingly divided into two (actually more than two) camps where each side has its own particular view of reality which demonizes people on the other side. People seem increasingly to be talking past one another with no common set of terms or facts. It nearly feels as though we are at a point where the sides are not even debating each other. Instead, each side is having its own isolated debate with a straw man of its own creation. What is the point of a blogger—even a clever one—trying to raise points to provoke thought when most people out there seem only to be looking for phrases and talking points that bolster their already established world view? In this environment, spinning yarns of fiction definitely feels like a more worthwhile use of time than trying to comment on political reality.